Oleksandriya is a large village with a population of about 2,300 people located in the Rivne region, about 16 km north-east of Rivne. 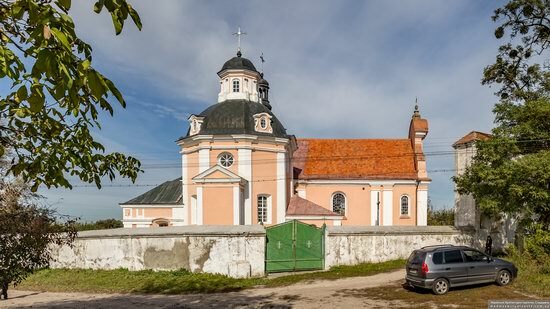 One of the main attractions of the village is a stone church built in the form of a rotunda in the classical style in 1842. The inner diameter is 14 meters. The bell tower of the church was also built in 1842. Oleksandriya on Google Maps. Photos by: Maxim Ritus. 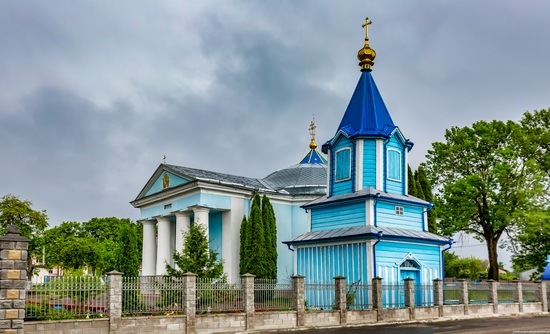 Tuchyn is a village with a population of about 2,500 people located in the Hoshcha district of the Rivne region, about 28 km to the north-east of Rivne. One of the attractions of the village is the Holy Transfiguration Church built in 1730, a beautiful monument of the Volyn school of wooden architecture. Tuchyn on Google Maps. Photos by: Maxim Ritus. Ostroh, first mentioned in 1100, is a small town with a population of about 13 thousand people located in the Rivne region, 48 km south-east of Rivne. 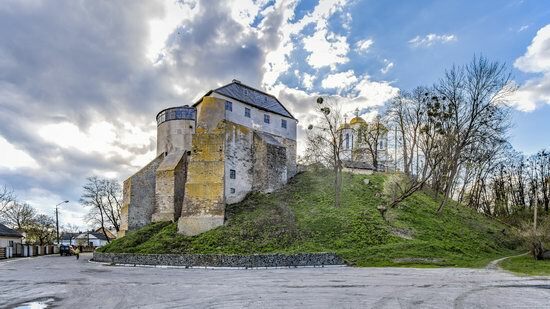 The most famous landmark of the town is the Ostroh Castle standing on a hilltop. 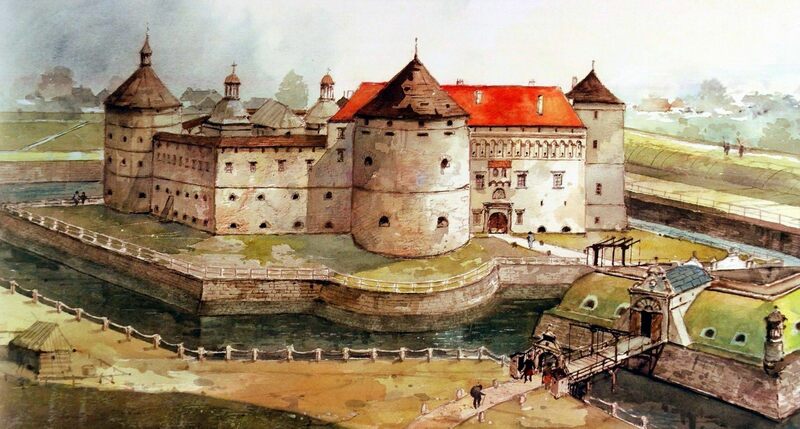 The castle was built on the site of the wooden fortifications of the times of Kievan Rus, destroyed by the Mongols in 1241. Ostroh on Google Maps. Photos by: Maxim Ritus. The following watercolors were included in the fourth album of the artist Zbigniew Szczepanek “Zamki na Kresach”. It shows the 59 most famous fortresses in Kresach (the Polish name of the territory of present Western Ukraine). About 40% of the objects show the author’s reconstruction, the remaining 60% – show the current state of the monuments. The images of some fortifications were reconstructed for the first time and thus can be considered a kind of unique. Berezhany Castle in Berezhany, the Ternopil region. Mezhyrich Holy Trinity Monastery is a complex of monastic buildings of the 16th-17th centuries located in the village of Mezhyrich, 38 km south-east of Rivne. 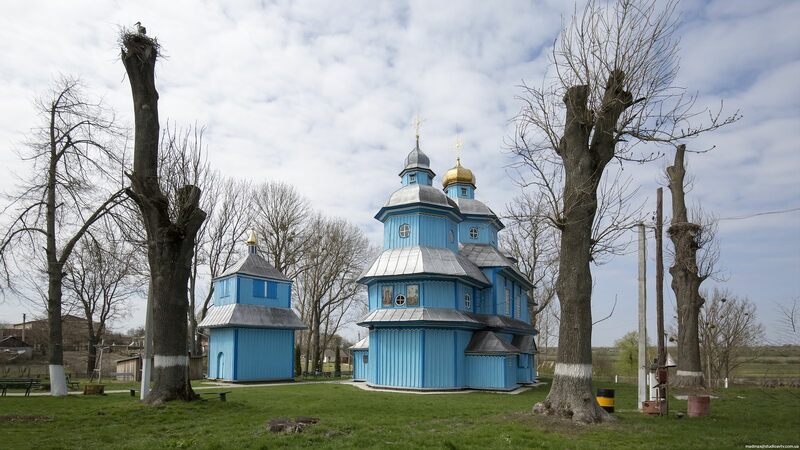 This monastery is an outstanding architectural monuments of Ukraine because of its layout, composition, mix of secular, religious and defensive features, Renaissance decor. 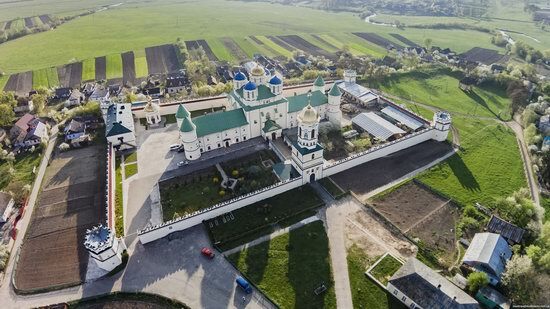 Mezhyrich Monastery on Google Maps. Photos by: Maxim Ritus. 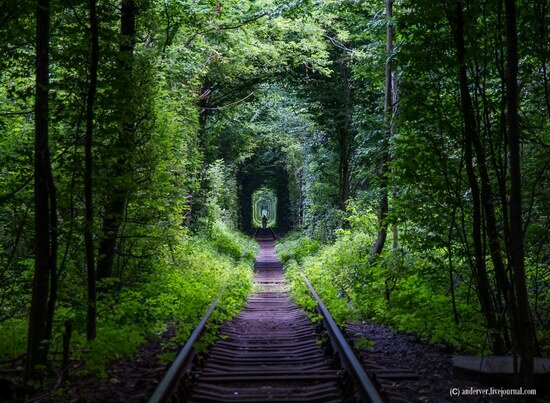 “The Tunnel of Love” is a natural monument of local importance located near the village of Klevan in Rivne region. It is a botanical phenomenon – the green tunnel in woodland created by thickets of trees and shrubs intertwined with each other. 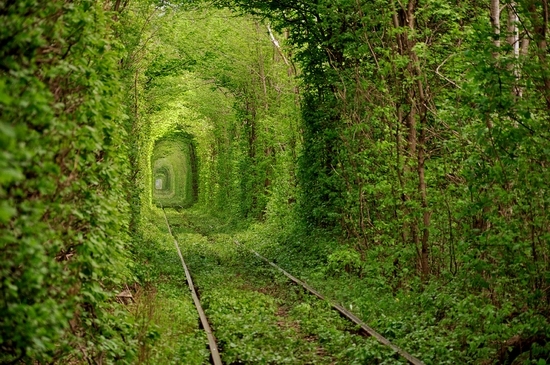 The tunnel is very popular among lovers who like to make a wish and kiss there. If the love is sincere, then the wish will come true. 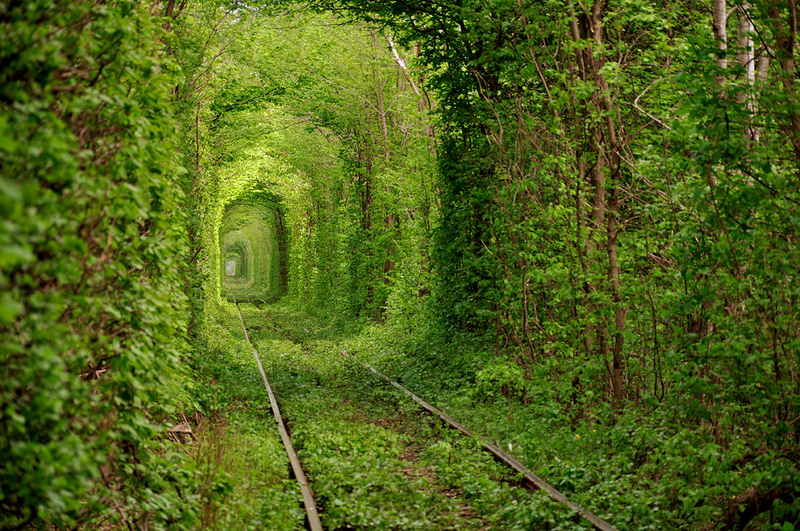 Stunningly beautiful place! Photos by Oleg Gordienko.